TITLE 24 IS THE PART OF CALIFORNIA'S MANDATORY BUILDING CODE WHICH MANDATES THE EFFICIENCY OF LIGHTING, SWITCHES, AND OTHER ELECTRICAL ELEMENTS. If you have lived in California for any length of time, it should come as no surprise that California has some of the most stringent environmental laws in the country. One of the many ways that the state government has endeavored to protect the environment are the California Title 24 Building Energy Efficiency Standards. Title 24 is a set of building codes which dictate how energy efficient new homes and commercial buildings must be, mandating the use of high efficiency insulation, lighting, water heaters, and more. Title 24 has had a profound impact on California’s electricity consumption. Bear in mind, Title 24 is not an optional certification, like the popular Leadership in Energy and Environmental Design (LEED) certification. Title 24 is part of the state’s building code—compliance isn’t an option. And the reality is, Title 24 works. 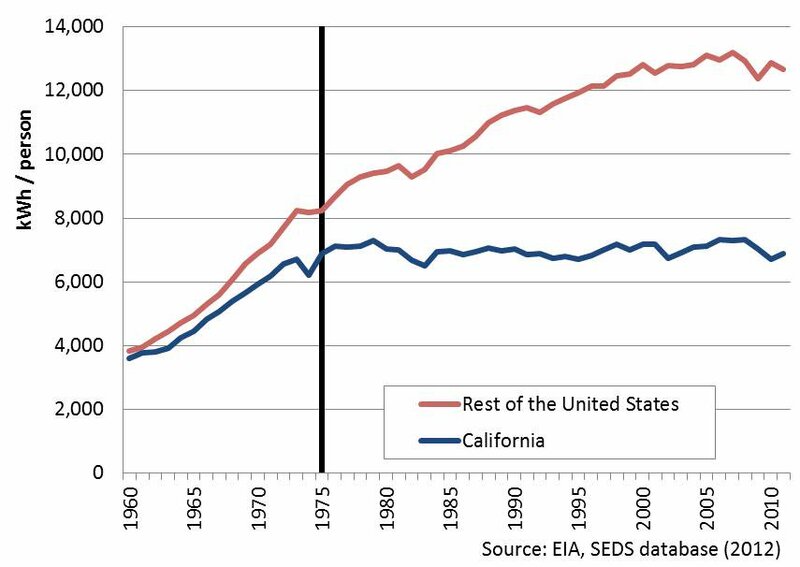 As the Natural Resources Defense Council showed using data from the Energy Information Administration, energy consumption in California has flatlined for the last 40 years, while it has climbed in the rest of the nation. In 2010, California had the lowest electricity consumption per capita of any state, averaging 6,721 kWh per capita, versus the national average of 12,146, and Wyoming’s high of 27,457. Title 24 is constantly being updated, and the newest update went into effect in January 2017. When Title 24 was implemented in 1978, its creators understood that with changes in construction and technology, that it would quickly become obsolete, and fail to fulfill a key goal—that structures built according to Title 24 standards would be cost effective over a period of 30 years. This is why California law requires that the regulations be updated every 3 years. The most recent update went into effect last year, on January 1st, 2017. This version endeavors to produce buildings that are 5% more energy efficient than those built according to the previous iteration of the code. Replacing a lamp or ballast no longer triggers the requirement to bring an entire lighting system up to current code. Sensors must be installed which adjust thermostat settings when doors or windows are left open for more than a few minutes. Elevators must be equipped with more efficient lighting, and have exhaust fans which turn off when cars are unoccupied. As you can see, commercial electrical work has gotten significantly more complex and involved than it was even a few years ago. No longer can commercial projects simply use an off the shelf lighting system, with a couple of standard light switches wired in. There must be more control systems, more sensor-driven systems, more specialized lighting sources, and so on. The demand for experienced commercial electricians is only going to increase, and any electrician invested in the future is advised to study previous updates to Title 24, in order to get a sense of what tomorrow’s standards will look like. Getting ahead of the pack by using future-proofed private standards may pay off handsomely in the near future.